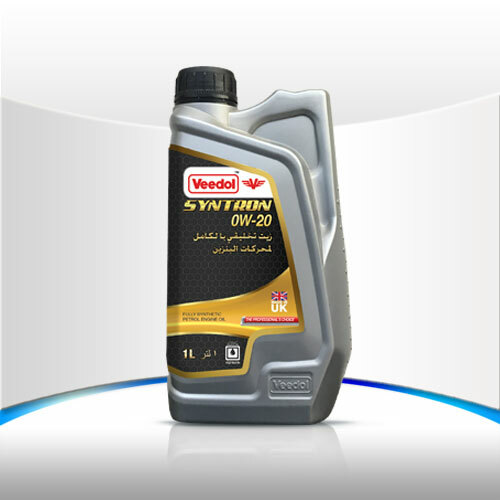 Veedol Syntron is a fully synthetic high performance multigrade engine oil engineered with latest in lubricant technology providing unmatched performance in toughest conditions. Veedol Syntron’s high quality blend and advanced technology deliver excellent fuel economy with improved film strength and oxidation stability. It is ideal for vehicles requiring 0W-20, 5W-20, 5W-30 and 5W-40 viscosity engine oil. Excellent high and low temperature performance. Exceptional long term anti-wear characteristics. Very high standard of engine cleanliness. Long lasting dispersant performance and corrosion protection. Excellent sludge control for stop-go city motoring. High temperature protection against ring sticking, ensuring oil performance and reduced oil consumption and low emissions.